To operate your phone, SIM card must be inserted. 1. 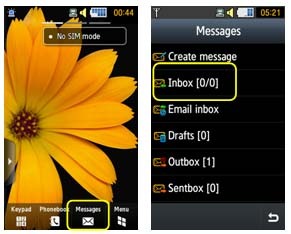 You could see the SMS icon on the indicator on the top side of your screen, when a new voicemail is received. 2. Enter by menu icon.